Home Latest News Slider World News Fastjet to purchase A319 aircraft. Fastjet to purchase A319 aircraft. fastjet (AIM:FJET), Africa’s low-cost airline, has signed a Letter of Intent (LOI) for the purchase of an Airbus A319 aircraft (the Aircraft). The Aircraft is expected to be ready for operations by the end of September 2015 and is planned as the first aircraft for the fastjet Zambia fleet. One of fastjet's aircraft at Julius Nyerere International Airport - Dar Es Salaam, Tanzania. “Following our recent announcement of the fourth and fifth aircraft joining our fleet, the addition of this owned Aircraft by the end of September will see the fleet double in size to six once each of these aircraft are operational,” said Ed Winter, fastjet Chief Executive Officer. “Each additional aircraft is able to make up to 1,000 more seats per day available to fastjet’s customers. 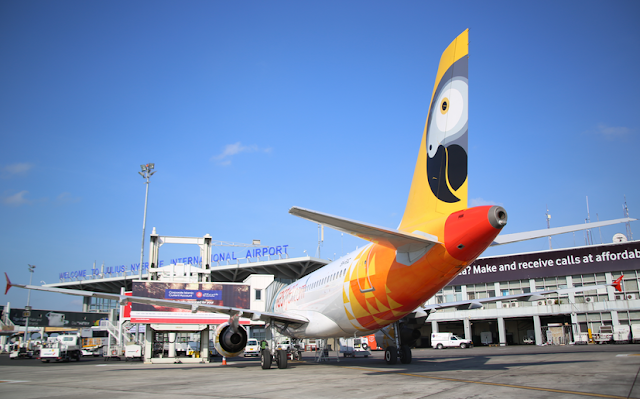 Based on the 75% load factors currently being projected by fastjet, each aircraft in the fleet is projected to carry approximately 275,000 passengers per annum. Our successful fundraising in April 2015 was, in part, to fund the acquisition of aircraft. We conducted an extensive review of available aircraft and I am delighted to announce this milestone event,” he said. Tanzania-based Fastjet has so far been using leased A319s and currently flies a fleet of three aircraft. With the two leased aircraft that will enter service shortly, one will be put into Zimbabwe, where the airline is likely to open a base in a matter of weeks, and the other will be deployed in Tanzania. fastjet aims to operate 34 aircraft by the end of 2018. These operations will span Kenya, South Africa, Tanzania, Uganda, Zambia and Zimbabwe.